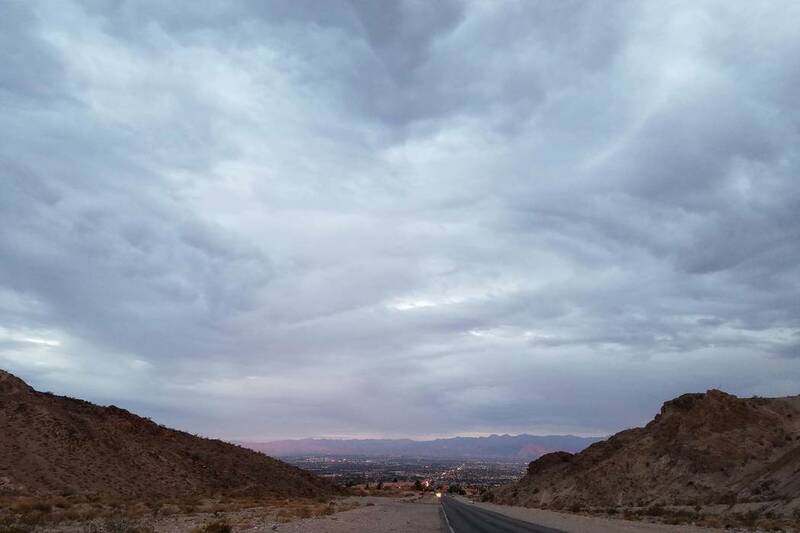 A slight chance of showers will linger in the Las Vegas Valley until the weekend. The likelihood of rain through Thursday evening is about 10 percent, the National Weather Service said, but skies in the valley are expected to be mostly sunny for the rest of the week. Tuesday’s high peaked at 103 degrees, meteorologist Alex Boothe said. Wednesday was forecast for a 96-degree temperature high. A cold front moving through the valley from the Pacific Northwest will bring temperatures well below the 95-degree normal for this time of the year, meteorologist Chelsea Kryston said. A 90-degree high is expected Thursday, the weather service said. By the weekend, forecast highs are in the mid-to-upper 80s with a predicted 91 degrees on Sunday. Lows should continue to drop, floating near 70 and below from Thursday through the weekend. “It’ll be a nice little relief from a pretty brutal summer,” Boothe said. Contact Rio Lacanlale at rlacanlale@reviewjournal.com or 702-383-0381. Follow @riolacanlale on Twitter. Review-Journal staff writer Mike Shoro contributed to this story.